I’ve been extremely quiet lately. There’s a reason. 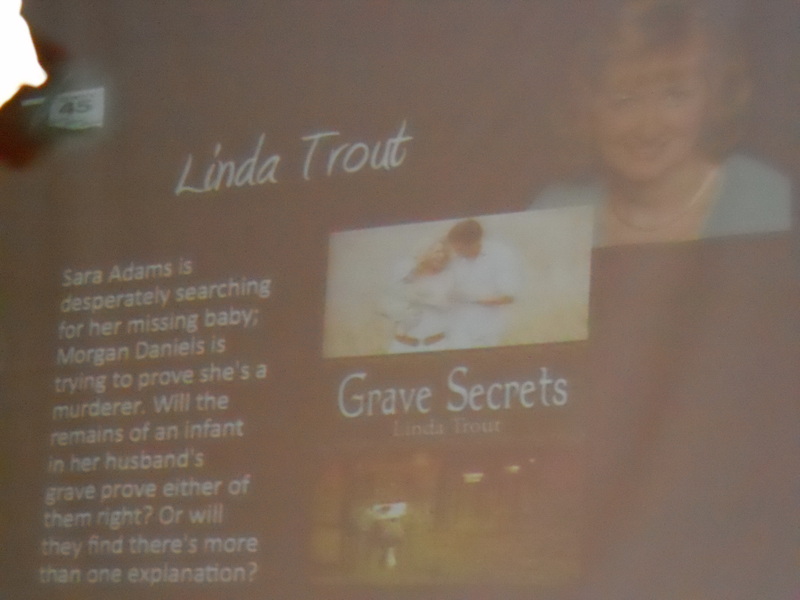 I attended the Oklahoma Writers Federation, Inc’s (OWFI) conference May 3-5 in Norman, OK. Wow. What a rush! 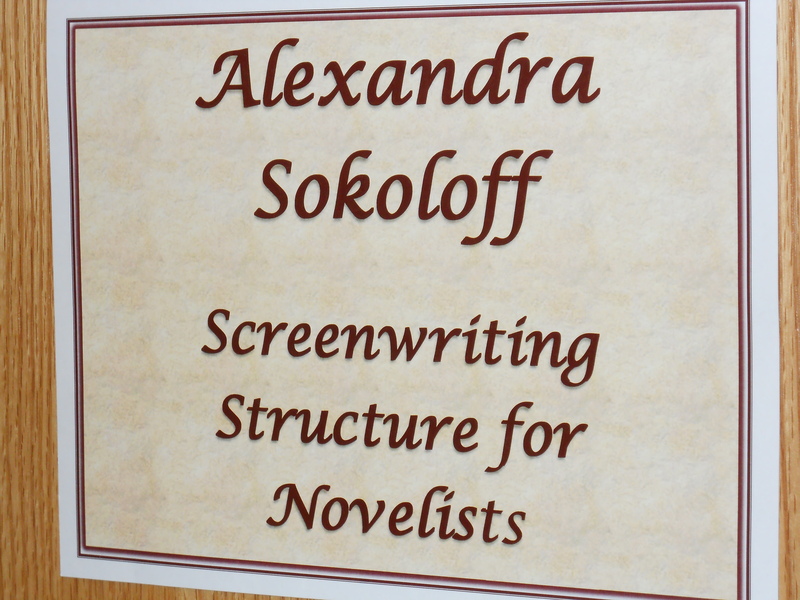 Not only did I meet with my first line editor, but also the co-founder and editor-in-chief of The Wild Rose Press. I hung out with them on Friday night after the Famous Author’s Banquet during a Buzz Session. Oh! 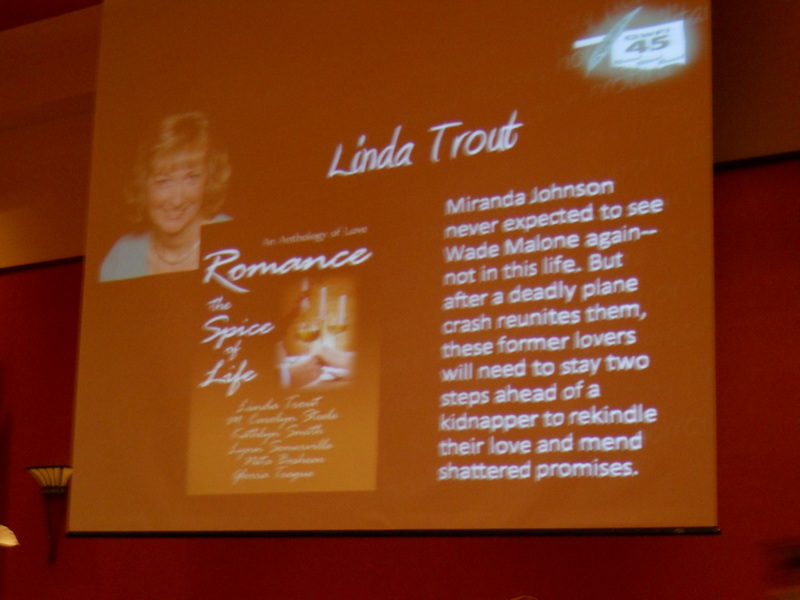 Speaking of the banquet, I hit the ‘big screen’ by announcing the publication of my books last year, GRAVE SECRETS and ROMANCE-THE SPICE OF LIFE. 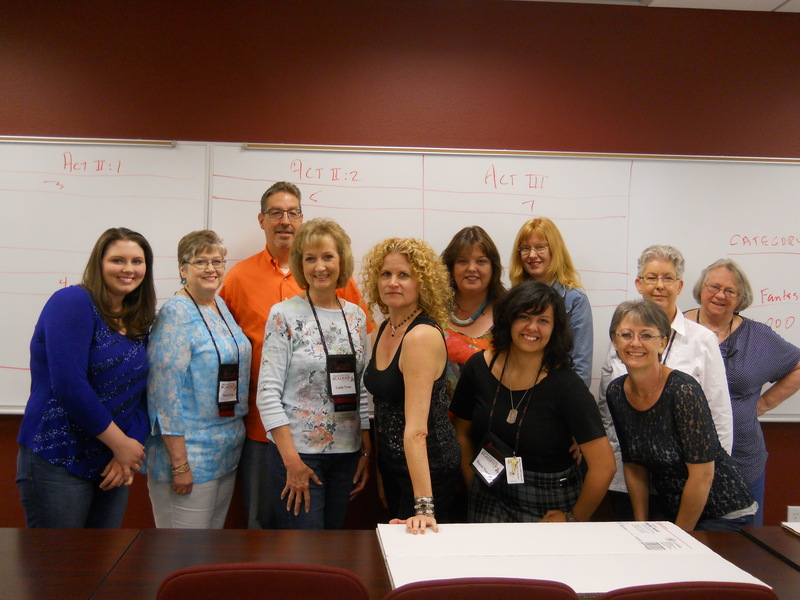 I also got to hang out with friends from the West Texas A&M Writers Academy as well as others from Amarillo, including: Jodi Thomas, Linda Broday, Phyllis Miranda. 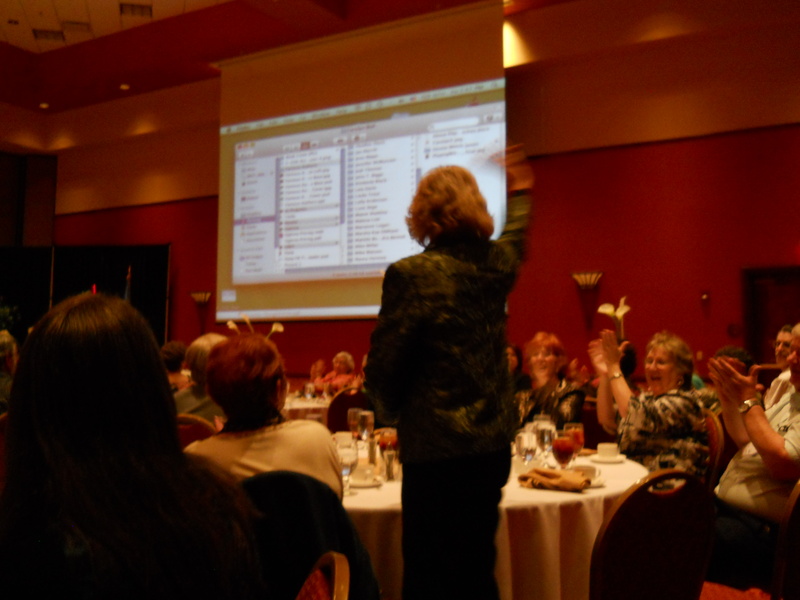 Jodi was one of the speakers, and let me tell you, she told us in no uncertain terms what it takes to make it. Yet, here I sit. Writing a blog and not writing on my story. The good news is I came up with another storyline while there. Woot! So all in all, I got my money’s worth out of this conference. Will I go back in the years to come? You betcha’! 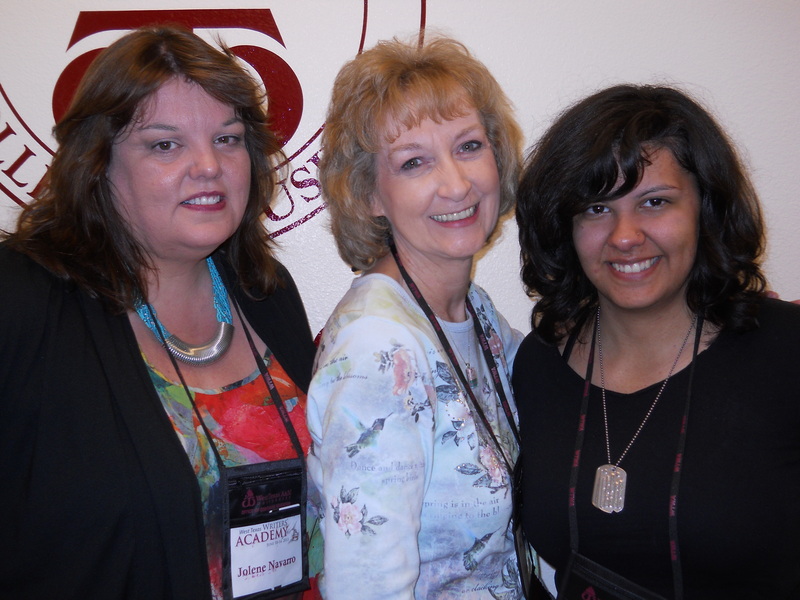 This year there were four other members of Smart Women Who… attending the conference. T.D. Hart, Jackie King, Kathlyn Smith, myself, and Susan Shay. I think everyone had a fantastic time. What about you? Do you go to conferences? If not, why in the world not?! Even though you may come home exhausted—I know I did—it’s a great opportunity to connect with other writers, pitch your story to an editor or agent, reconnect with old friends and make a ton of new ones. How can you lose? Seminars will be conducted throughout the day on topics of interest to women (anywhere from health to finances), dance demos will be presented by Claremore Dance Studios, the fashion show, and various exhibitors with products ranging from health & beauty, jewelry, purses, clothing & accessories, home décor and much more. There are all kind of fun things to see and I encourage you to drop by. I’m willing to bet you’ll leave feeling better than you did when you walked in the door. In case you’ve never been there, the Expo Center is located behind the Indian Hospital, off West Will Rogers Blvd. See you there! I got my hair cut the other day and, as usual, was talking to my hair dresser about my books and writing in general. She asked if I’d ever written anything that was funny. I don’t think of myself as funny. In fact, I think of myself as rather stilted and flat. But come to think of it, I do like to make people laugh and feel good about themselves. And when I worked at the day job, I’d send instant messages and emails with snarky tones in them to my friends. The problem is, when I sit down to write blogs, I automatically turn into business mode. You know what I’m talking about…dry, rather boring. So, if I do decide to try and write funny, do you have any suggestions for me? Any helpful hints to turn off that ‘boring the peewaddings out of the readers’ mode that I seem to slip into so very, very well?